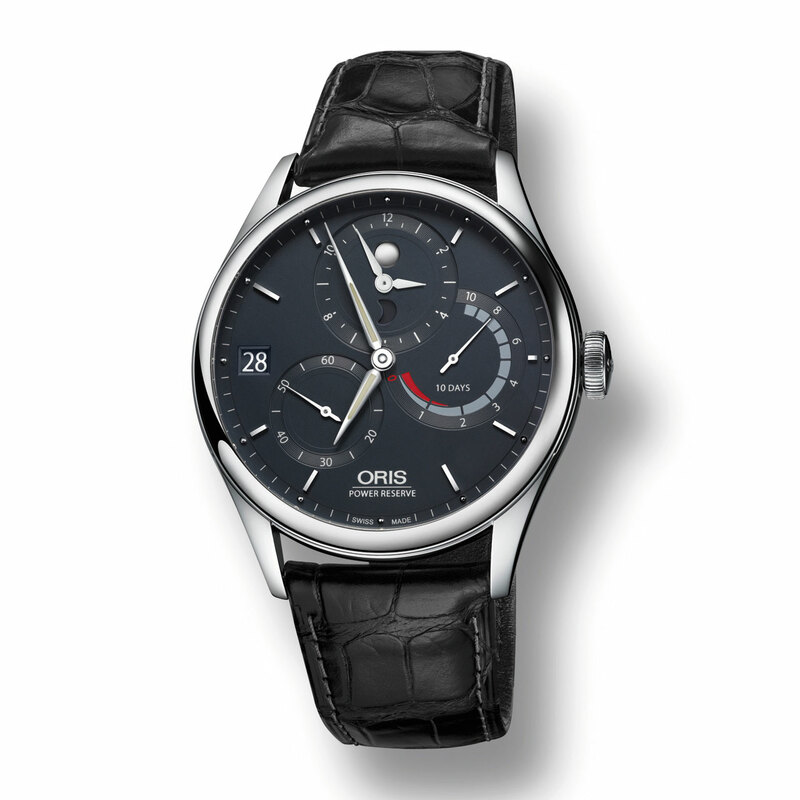 Oris adds a third variation to its portfolio of in-house movements. The new Calibre 112 extends the brand's offering and lends its name to this latest timepiece in the Artelier collection, designed with global travellers in mind. It builds on the existing performance of Oris' Calibre 111, adding a second time zone complication to this hand-wound movement with a ten-day power reserve. 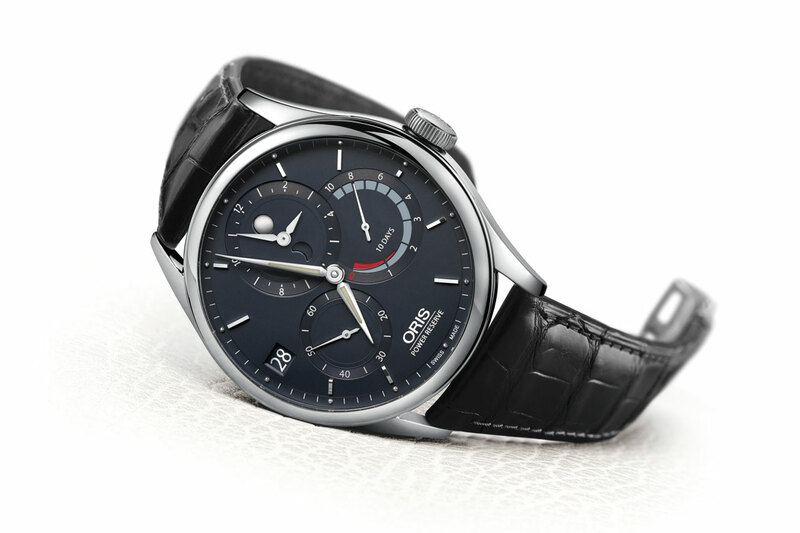 The second time zone is read in a subdial and shows hours and minutes in full, in addition to a day/night indication. The Oris Calibre 112 makes good use of the generous 43-mm diameter to ensure a beautifully balanced, asymmetric dial layout, as each of the four complications has been allocated a separate, large-size display for easy read-off. One such indication is the patented, non-linear power-reserve display, one of the hallmarks of this movement. Mechanical hand-wound, 112 calibre, 21,600 vib/h, 10-day power reserve. Hours, minutes, small seconds, date, second time zone, day/night indicator, non-linear power-reserve indicator. Steel, 43 mm. Sapphire crystals, front and back. Water-resistant to 50 metres (5 bar/165 ft). Opaline blue-grey or opaline silver. Black alligator, steel folding clasp.